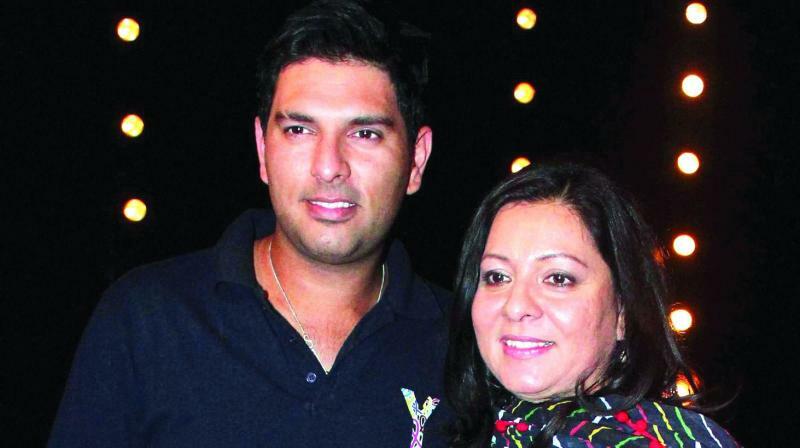 The cricketer’s mum, Shabnam, reveals that Yuvi keeps abreast with worldly developments, which is why he won big on KBC. A doting mother and Yuvraj Singh’s pillar of strength, Shabnam could not watch Kaun Banega Crorepati (KBC), where the cricketer appeared with actress Vidya Balan and won Rs 25 lakh. “I will watch it when the episode is repeated,” said Shabnam, over the phone. On Vidya and Yuvraj winning the huge amount, the mother gives credit to her son’s general knowledge. “He does a lot of reading. He also reads a lot of books,” she says. Before the duo started playing, Yuvraj announced that the prize money will be donated to his NGO, YouWeCan. He also became emotional when he was fielded questions about his fight against cancer. While sharing his experience, the cricketer did not forget to mention his mother’s name, who has been his biggest support system ever since Yuvraj was first diagnosed with the deadly disease. Yuvraj also spoke about the contribution of his father Yograj, who helped him on his journey to becoming a national player and who has himself played for the country. Interestingly, during the show, which lasted a little over an hour, only one question on cricket was asked — Which of these Indian captains has never scored a double century in Test cricket? Taking very little time, Yuvraj answered Mohammad Azharuddin. The cricketer, who is known for being stylish, was seen sporting a new hair style — a ponytail, on the show. “His ponytail has been there for quite some time. I have no idea how he thought of this style. I have not seen him for quite some time now since he’s training in Bengaluru,” said Shabnam.